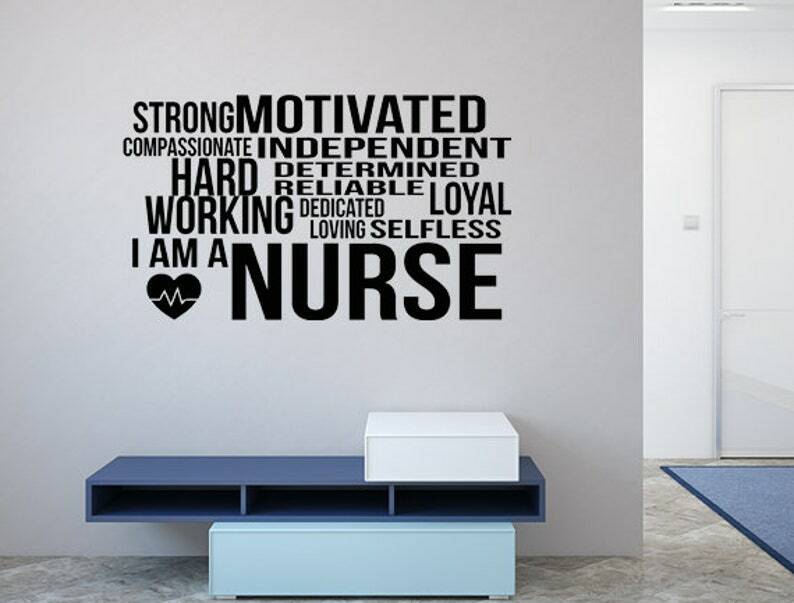 This vinyl wall decal was created with nurses in mind...easily apply our nursing wall decal to any room in your home, office or workplace! This decal measures approximately 31 inches wide by 18.25 inches in height. Our decals are available in additional sizes, fonts and colors. If you would like to customize this decal in any way, please contact us for a price quote. You can contact us at the link below to have a design customized or a new design created to your specifications.